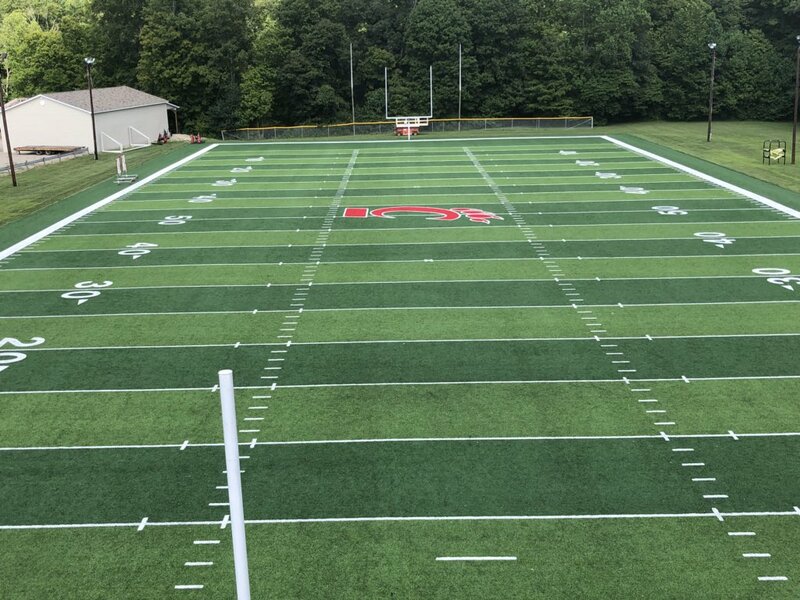 Quote: UC was to have its first three workouts Friday-Sunday on campus, but the schedule has changed and the Bearcats will start practice Friday (9:30 a.m.) at Camp Higher Ground in West Harrison, Indiana. The team annually stages most of its summer practices at Higher Ground, which is about 30 minutes northwest of the main UC campus in Clifton. Except for a Saturday, Aug. 11 practice at Nippert Stadium, all other workouts this summer will be at Higher Ground. Practices are closed to the public. Looks like double secret probation until August 11th. I don't have a problem with it. Focus, focus, focus. Quote: Luke Fickell is not a big fan of preseason predictions. Yet, the second-year University of Cincinnati football coach knows where the Bearcats stand as 2018 preseason practice begins Friday. UC, coming off of two consecutive 4-8 seasons, was picked to finish fourth in the six-team American Athletic Conference East Division in the league's preseason media poll. "Not real high on them," Fickell said when asked about preseason polls. "At some point in time, at the right time, we will use it as a motivator. It's a great shot to you at first, but sometimes perception is reality." Fickell and his staff are rebuilding with UC at its lowest point in nearly 20 years. The Bearcats are coming off their first two consecutive losing seasons since 1998 and 1999. With a lack of star power and multiple questions on both offense and defense, Athlon Sports also predicts UC will go 4-8 again this year and ranks UC No. 96 among the FBS schools. "It’s not disrespect, it’s hey, we want to be better," Fickell said. "It’s a little bit of a shot to say where is this talent level? If Alabama is picked No. 1 in the country, does that mean they’re the best football team? No. That’s why you play." What can UC fans expect or hope for in 2018? While another 4-8 would obviously be a downer, the ESPN FPI (Football Power Index) is more optimistic, predicting UC will win between 5.9 and 6.2 games. That would round off to a 6-6 season, which would mean UC's first bowl appearance since 2015. ESPN ranks UC No. 92 nationally. UC returns 13 starters (five offense, seven defense, and 2017 first-team All-AAC punter James Smith). UC is the only AAC team to return its leading rusher (sophomore Gerrid Doaks), passer (senior Hayden Moore) and receiver (senior Kahlil Lewis). Doaks rushed for 513 yards and two touchdowns last year. Moore threw for 2,562 yards with 20 TDs and nine interceptions. Lewis caught 61 passes for 676 yards and seven TDs. Defensively, standout senior tackles Cortez Broughton and Marquise Copeland are proven producers. The top returning tackler is junior outside linebacker Perry Young, who had 101 stops last year. Besides sophomore punter Smith, who helped UC rank 15th nationally with a 41.0-yard net average, both the offense and defense were well below par last year. UC ranked 111th nationally in scoring offense (20.9 ppg) and 93rd in scoring defense (31.8 ppg). There have been tweaks to the coaching staff. Former UC standout quarterback Gino Guidugli is now coaching the quarterbacks, after joining the staff as running backs coach in 2017. Offensive coordinator Mike Denbrock retains that post but now will coach tight ends after handling quarterbacks last season. Brian Mason, who served as UC director of recruiting 2017, has been promoted to coach special teams and the sniper position, a hybrid linebacker/safety. Steve Stripling, a UC assistant under Butch Jones from 2010-12, returns from Jones' former Tennessee staff to coach the defensive line. Mike Mickens, the UC career leader in interceptions (14), arrives to coach cornerbacks after four years coaching corners at Bowling Green. Concerns include the offensive line, which returns only two starters in senior left guard Garrett Campbell (St. Xavier High School) and senior right tackle Kyle Trout. Defensively, UC produced only 12 sacks and five interceptions last year. The placekicking has been erratic for two years, with freshman Cole Smith (Middletown HS) a top contender for the job. Special teams coverage and returns have also been an issue, including no special teams returns for touchdowns since 2011. Some UC fans believe that former coach Tommy Tuberville (29-22 record from 2013-16) set the program back a few years, bottoming out with the infamous, "Go to hell! Get a job!" rejoinder from Tuberville to a heckling postgame fan. Tuberville was 62 years old by the time his UC tenure ended, and some wondered about his long-term commitment as things went on. Fickell, 19 years younger than Tuberville, likes living in Cincinnati with his wife and six children and is hopeful for a long stay. "We never know what is gonna come," Fickell said. "You just want to get your program, your culture, the things you want to do like they did in 2009 (12-0 regular season). Put yourselves on a national stage and play for meaningful championships at the end of the year." In past years UC has had a Higher Grounds visit day for higher contributors. I always passed on the opportunity but wonder if that will be done this year? Wonder if the move to get away sooner had anything to do with the Urban Meyer stuff...get the team away and focused on football, not have the Cincinnati media around asking "what did you and your wife know" type questions instead of football related questions. (08-03-2018 08:29 AM)SeniorBearcat Wrote: Wonder if the move to get away sooner had anything to do with the Urban Meyer stuff...get the team away and focused on football, not have the Cincinnati media around asking "what did you and your wife know" type questions instead of football related questions. That crossed my mind as well since it was stated as a "scheduling change." I'm sure once all the facts come out regarding the Urban scandal, CLF will make comments at the appropriate time if he deems it necessary. If UC was worried about any of this business in Columbus distracting our players and coaches, imagine the circus that will be OSU's preseason practices? National media will be all over it--whether they're permitted in officially or they're speaking to players "off the record" to file stories. If Urban is gone, I can't imagine there will be a head coach. So will Schiano be the interim? Seems all this will torpedo this team's #3 ranking and undermine any hopes for a national title among their faithful. Someone who lives in that area, Billy perhaps, can verify but my guess is there is a hoard of reporters and paparazzi on and around that campus sniffing for anything and waiting like wolves. If I'm thee Ohio State University my next hire is a Catholic Nun because their back-to-back head coaches (Tressel first) has brought them scandal and public shame. Ahhhhhhh. The smell of fresh grass and dew before it is covered in sweat, blood and tears. (08-03-2018 10:12 AM)UCGrad1992 Wrote: Ahhhhhhh. The smell of fresh grass and dew before it is covered in sweat, blood and tears. Thank you for this. This is the focus for the Bearcats. Bowl and More is the goal. (08-03-2018 10:08 AM)UCGrad1992 Wrote: If I'm thee Ohio State University my next hire is a Catholic Nun because their back-to-back head coaches (Tressel first) has brought them scandal and public shame. I would gladly take two coaching scandals if they produced 2 National titles and 10+ wins most every season for two decades. Tressel's scandal was a joke compared to what we have seen at some other universities, and given some of the news coming out today, Meyer's scandal may end up not being a big deal either. Our resident OSU defender... just to clarify, wasn't the Tressel scandal that he covered up for athletes receiving benefits? Trading gold pants and autographs for Tattoos. I'm not here to defend OSU, but OSU will still come out of this looking fine, and they have had success that has only been rivaled by a handful of schools in the past 20 years. I'd trade two coaching "scandals" for 20 years of dominance. FC Cincinnati plays tomorrow at Nippert. I suspect that is the reason. But he wasn't busted just because players were trading gold pants and autographs for Tattoos. He got the show cause because he knew about it and he covered it up. Correct. It is basically the same as what is happening now. Had Tressel been up front about Tattoogate then he may still be the coach to this day. If Urban did not go to the media and say he knew nothing then there would be a much higher chance that he keeps his job. I would gladly take two coaching scandals if they produced 2 National titles and 10+ wins most every season for two decades. I wouldn't but I'm not a win at all costs kind of guy. Granted, Ohio State is not on par with what happened recently with Baylor and Penn State but I think it's telling that folks are willing to have scandal if it results in success. See Louisville. Until the NCAA's bubble bursts... their is no reason to play fair. Nobody really gets punished, and after a couple years it is all basically forgotten about. People don't care about the Joe Pa/Sandusky stuff anymore. Last season was all about the rebirth of Penn State and Barkley. Depending on an individual's exposure to athletes during their time in college it's easy to come to the conclusion that just about everyone is cheating at least on some level. Perhaps I'm just jaded by my time on the yard ('95 - '00), which for those who know....was a particularly shady time for UC's lead sport at the time, basketball. But i got to see behind the veil at least a lil bit, and there were definitely some privileges lavished on those guys that the rest of us didn't enjoy. I'm perfectly fine with that tho....truth be told, those guys were fantastic engines of income, their value was simply higher -to UC- than mine. Cool. Whatever. So, if there's some at least some stuff happening everywhere (at least in most places - yeah, this is an assumption based on talking to the guys at the time) what's the big deal? Let's face it, we all speed on the highway. Some of us just get caught from time to time. Or to be more sport topical - the OL holds on just about every play. Some guys just get caught. You got the refs there to keep things in check in so much as they can....and that's ok. The NCAA does what they can/ or maybe better stated - what they opt to do - when they can....and that's ok. It just slays me when fans of school A play the holier than thou card over fans at school B. No one is getting awards for being holier than thou. Coaches, players, everyone in between is rewarded for winning. Period. (08-03-2018 01:44 PM)Banter Wrote: Until the NCAA's bubble bursts... their is no reason to play fair. Nobody really gets punished, and after a couple years it is all basically forgotten about. People don't care about the Joe Pa/Sandusky stuff anymore. Last season was all about the rebirth of Penn State and Barkley. This is true for the blue bloods. Look at UNC, Penn St, probably Michigan St, and now OSU. Not much, if anything will happen to them. If it were a school like UC the hammer would come down hard.